Pinterest isn’t just for fashion and cute cat photos — it is the biggest traffic source to some of the small-business owners and bloggers who take advantage of the platform’s more than 100 million monthly users. Most people are grinding their way to get more followers, they create amazing content and monetize the traffic from Pinterest. It takes considerable amount of time to make enough money to put food on the table. While Kudos to the hardworking Pinterest users, there is the opposite breed creeping under the dark side. Jenny was not the first blogger who had her website marked as spam. For example: Linda from “with a blast” had her website marked as spam and also Becky from “your modern family” had her website marked as spam. It was interesting to see, people who work hard for their work, get banned and there is not much explanation provided by Pinterest. In reality the Pinterest Mafia on Pinterest controls who gets to stay and who must go. Once they mark their “Mark”, the rest is simple enough to implement. Since the Mafia controls 100s if not 1000s of accounts on Pinterest and they “control” or “are in” most large group boards – flagging a site as a spam is not that difficult for them. There are people on Pinterest who do not like the suggestions Pinterest provides. Since they could not turn off the suggestions, they resort to the second best thing, mark it as spam. They are not marking it as a spam because it is spam (most of the time they don’t even see what the suggestion is about), they are doing it so Pinterest doesn’t auto suggest and are trying to teach Pinterest’s suggestion algorithm to avoid such suggestions. Any fast growing account will have some pins marked as a spam and chances are high, this is one of the main reasons. Pinterest Mafia knows this also. Why the PM gets the accounts blocked? There are many different reasons, number 1 is because they are protecting their turf. When they see someone trying to muscle in, they see it as a threat. They wait to take any action until the new guy gets gains certain amount of traction. They wait because most people go nuts on Pinterest in the start but when they don’t see results they stop. The ones who figure out what works and how to gain traffic, start to gain tens of thousands of followers fast and their content gets thousands of repins and likes. The math is simple, as people see others pinning it and liking it, they also do it. The MSMD power kicks in and spreads your content to even more people (see later in this article what MSMD means). Pinafia has a threshold level. Once the marked account gets to that level, they are put through the block motion (make him an offer “The Mark” Can’t refuse). In Pinterest Mafia’s case, the mark is not actually even given a choice, so in reality the offer he/she can’t refuse is “silent”. There are times when you are not a mark but you stepped on the wrong toes. One of the “Made Men” followed you or liked your posts. You decided to do nothing in return. Or they ask for an invite to one of the group boards you are part of and you do not oblige. Depending on the day or the mood of the “Made Man” and how fast your account is growing, you may be put on the Marked as SPAM hitlist. The Lazy Scammers are even worst than the Pinterest Mafia. The latter, actually spend a lot in making sure they produce good content and promote the content in every possible way they can. Since there is a law of diminishing returns, they protect their turf by getting the competitors who start to gain grounds on them, banned. and repin their own pins. They don’t care about search engine traffic, they feed on traffic from Pinterest. They follow a different path, one, which does not go head to head with any of the “Made Men” of the “Pinterest Mafia”. Instead they look for normal Pinners whose pins start to gain traction. If your pins are gaining traction and they like the content, you are in trouble. They work in any industry but Food and Health/Fitness are the biggest ones they go after. First they take one of your images, which is already working for you. They use it as their own. They know there is not much you can do. Pinterest doesn’t really have the resources to enforce all the image stealing (Pinterest does allow you to report infringements but Lazy scammers just does it with one of their other accounts). Plus if the The Lazy Scammers make even a small change to the image, there is nothing the owner can do. In the beginning, LS actually even help repin your pins. Why would The Lazy Scammers help repin your content? They want you to get traffic. They know more traffic you will get, more content you will create. More time and money you will spend on creating content the better the content will be. You might be wondering why they are labelled as “Lazy Scammers” if they help you get traffic? It’s simple, they want you to create as much good content as possible. Once you get to a certain level. They press a few buttons and their army of BOTS and humans flag your pins and boom, you are gone. How do you find out your livelihood is gone? You wake up and see your earnings and traffic disappear over night. You panic, you run to your account on Pinterest, try to log in. If the account is blocked, game over. 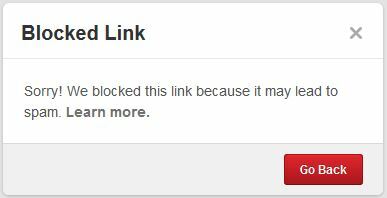 Sometimes Pinterest will not block your account but will block the URL of your site. What happens When the URL of your site is blocked by Pinterest? Is it possible to still get traffic from Pinterest after your URL’s is blocked? Yes, it is. We have talked to number of people whose sites were blocked by Pinterest, who all reported a bit of traffic still coming there way. But if you right click on the pin and select open in a new window – you can still go to the site. You might be wondering why do The Lazy Scammers do that? Before they get you banned, they crawl your entire site’s content – all articles and images. Once you are banned, what happens next? You guessed it right, they take all of your content and use it as their own. While you try to beg Pinterest you did not break any rules, your content was kosher and you are a good member of the Pinterest community, The Lazy Scammers reap the benefit. Regardless of what happens, The Lazy Scammers win. When we were first approached about the concept of Pinterest Mafia and Lazy Scammers, we found it hard to believe. How can this be? Pinterest is a unicorn, as if they would allow this kind of activity to take place on the site. The reality is, PM and LS’s work within the rules of Pinterest and use it to their advantage. Within a day of FireUpFitness.com getting blocked from Pinterest. All of it’s content showed up at blogger at this url fireupfitness.blogspot.com. 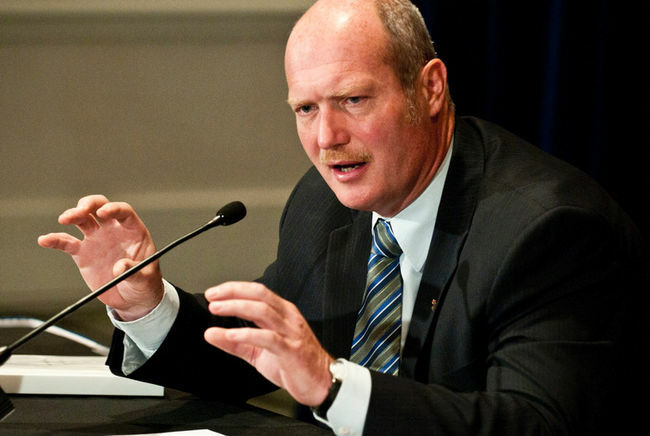 “I feel a pain you cannot explain, which is being felt by my entire family including my three kids”. When you get hit once and you work hard to make sure you can get up and someone knocks you down again, it is very hard to get up again”. What do you think happened to your account? A: I have no clue, i have not broken any rules of Pinterest but here i am. Have you reached out to Pinterest to tell them, you have done nothing wrong? What message you sent Pinterest? I am contacting Pinterest help once again as I receive message from help desk that my site was blacklisted because a number of people reported the links as spam. I run a website www.fireupfitness.com which has been added to blacklist. I am shocked to find out this afternoon that my website has been added to blacklist. I encourage you and request you to kindly visit my site and also visit all those links which have been flagged by other users as spam. None of my links use URL shortener or redirected to other sites. None of my pin is an affiliate link. None of my pin is deceptive, fraudulent, misleading or incorrect. All the information on my site is accurate, and helpful for my site visitors. Please visit my site and see by yourself that my site is not a spamming site with good quality content. The site has been live since April 2014 with good content on health and fitness. I get considerable visitors from search engines and other social networks also. As an owner of www.fireupfitness.com I have never violated any community rules and did in fact reported a number of pins which were redirecting or going to affiliate products. I have respected the Pinterest community rules and my site is also in compliance with the rules. I believe it has been an error or mistake in reporting pins from my site as spam. It suspect my competitor might also be doing that. Please do visit my site and reconsider your decision to blacklist my website. I am looking forward to get positive response and working together for a successful Pinterest community. Do you think, your site will be unblocked? A: It should be unblocked, if someone from Pinterest looks at it, they would know my site is not a spam site. Do you have any message for Pinterest? A: Please remove the block on my site, i have done nothing wrong. 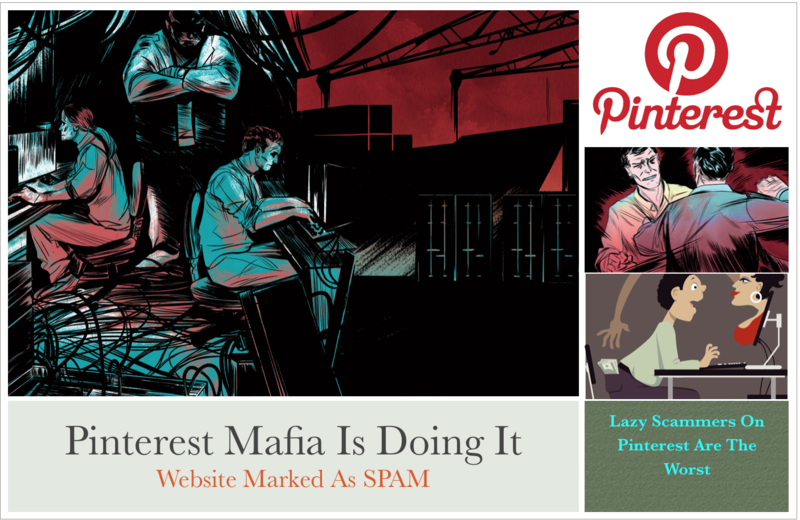 What can Pinterest Do to fight Pinterest Mafia and The Lazy Scammers? It’s the survival of the fittest in the Pinterest Universe. The company can only do so much, they had to fight spammers because if they don’t, the universe itself can come crumbling down. One of the ways Pinterest is fighting the spammers is by allowing the community to flag pins, which are not appropriate. The Pinterest Mafia and Lazy Scammers operate within this flagging by the community rule and there is not much Pinterest can do, unless they start to compile data of their own. From time to time, Pinterest goes back on their decision and unblocks a blocked site. Jenny got back in Pinterest. If the user has pinned other similar content, which they did not flag? (how can you pin similar content from one site yet report it as a spam from another)?. Which sites was the unflagged similar content was from? As you can see, deeper Pinterest understanding of the users who flag a site as a spam, will provide key data points to the blocking algo. Pinterest can only fight back if math is used at user learning level. The big data will tell Pinterest a site must be blocked but it will be the “small data”, which will tell Pinterest, which accounts are controlled by the Mafia and Lazy Scammers. This shows you How easy it is to get people banned on Pinterest. Use the comment section below and let us know if your site got blocked on Pinterest and you did not breach the terms of their service. We may include your site in the follow-up story. 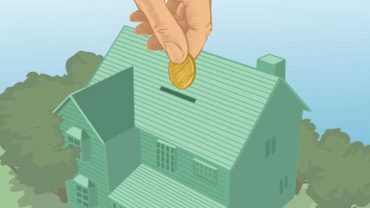 Debt Delinquencies Spike About 15% In Alberta Yet Dip In Ontario And B.C. Amazing post, i love pinterest but hate what they do to hard working bloggers. My site was also blocked and no reply from pinterest yet.